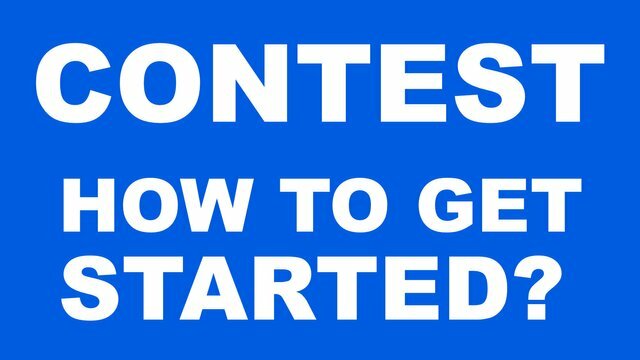 CONTEST - How to get started? So, with these framing parameters, I would love to find a concept that works and inspires. I really like what @czechglobalhosts is doing with his Contests. People post pictures in the comments and he selects the one he likes best. He offers a winner per contest and also an overall winner per week. I don't want to do a daily contest, but every 3 days, for example, seems like a good time frame. The problem for my account at the moment is that I can't really offer any prize money because my account is too small and it would make sense to shrink my account by giving away the little I have. Instead, it would make a lot more sense to grow this account and be able to offer more benefits over time via upvotes for the winner and a dedicated post about the winner. There are a ton of variable on how this could be done and I would love to discuss with you, how to design/choose them the best way. Something that is also important to me, is to bring attention to gifted Steemers. Something that has nothing to do with money and everything to do with attention. Again @czechglobalhosts is a great example here to learn from, as he includes the winners of the day in the posts for the rest of the month. So that seems like something I would love to include. Since days are flying by and we almost lose count of them, ask members to take a picture that summarizes a day. The picture should embody the main theme and tell the story of that specific day.